Bleeding Billboard! Does that really work? The first heavy rains after summer bring the highest death toll on New Zealand roads. 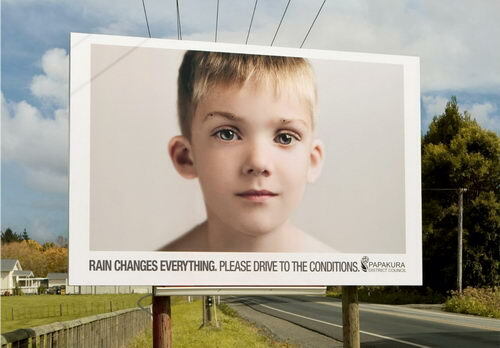 To alert people to the dangers of driving in the wet, Colenso BBDO Auckland created billboards that bled every time it rained. Honestly, when I first saw the design, I don’t think it can work. It is kind of scary and freak me out when I saw it. I even guess it will cause more traffic accident by suddenly seeing this bloody face. However, it was reported that “This year in Papakura, there were no deaths during the Easter period. 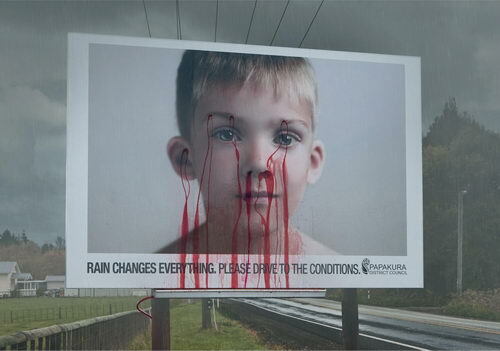 ” It seems like that bleeding billboard really work. Next story Cat or Hat?